LOS ANGELES—Air pollution from cars, factories, and power plants are known to trigger asthma attacks. Such pollutants are also linked to heart and lung disease. 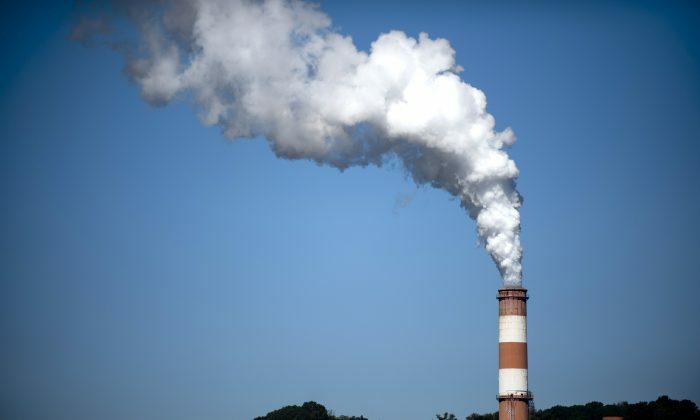 And while fossil fuel-fired power plants are the largest source of carbon dioxide gas emissions in America, there are no national limits on emissions from power plants. The Obama administration’s new proposed plan seeks to change that. “In just the first year these standards go into effect, up to 100,000 asthma attacks and 2,100 heart attacks will be avoided, and those numbers will go up from there,” said the President on Saturday. The plan is to reduce carbon emissions 30 percent by 2030, which would approximate the levels from 2005. At the present stage, the plan is within a 120-day public comment period. Individual states are allowed to come up with their own proposed plans before June 2016. But if a state doesn’t create a viable plan, the EPA may impose a federal plan. Critics of the proposed regulations, such as Senator Ted Cruz of Texas, said the coal industry will suffer and jobs will be lost within coal mines, power plants, and energy-dependent businesses. Clean Energy Advocate Michelle Kinman works for Environment California, which supports the new EPA regulations. “I think what’s really important here is just to realize that this is just the single largest step that the U.S. has taken thus far to combat climate change, and it comes at a very timely moment,” said Kinman. Implementing the new plan will be a very lengthy and complex undertaking. However, supporters say the benefits clearly outweigh the cost. The EPA estimated that for every dollar invested in complying with rules, Americans would gain $7 in health benefits. Kinman said California is the 12th largest contributor to global warming in the world, but has also been a leader in creating solutions. In 2006, a mandate was enacted to reduce carbon emission across all sectors to 1990 levels by 2020. In California, transportation is the largest contributor to air pollution, while in the rest of the nation, it’s power plants. Barbara Sahakian, professor of Clinical Neuropsychology at Cambridge University, discusses subjects from depression to cognitive enhancing drugs. Watermelons are synonymous with summer, as a hot summer picnic just isn't the same without this delicious treat. Eat up!